Two bedroom ranch with lots of updates. Just move in! Large master bedroom with generous closets. Oversized bathroom with skylight, soaking tub and walk in shower, granite countertop. Spacious eat in kitchen. 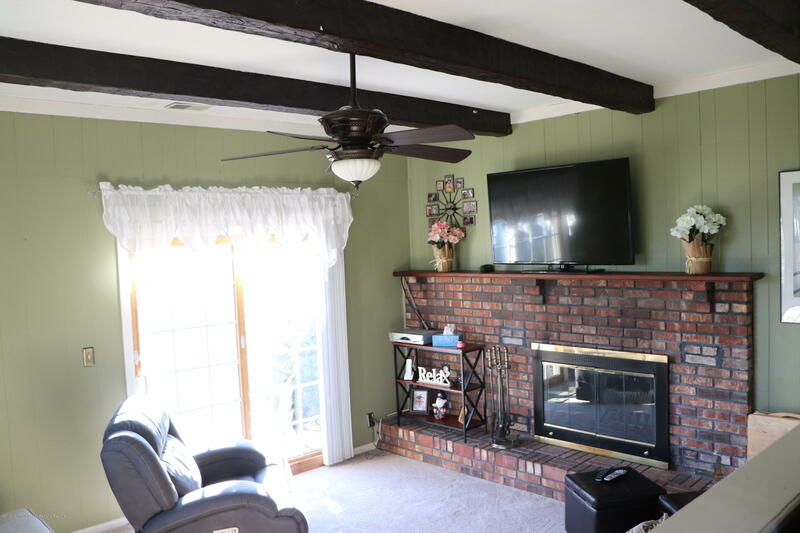 Family room with fireplace, decorative beams, sliding doors and peaceful view of woods behind property. Finished basement with bath, workshop and storage areas is ready for your special touches. Full length attic. New furnace & AC. Rebuilt fireplace. Newer roof, windows, siding and doors. Fenced backyard with shed. Convenient to GSP, beach and Shark River Park. Third bedroom can easily be added back from master bedroom or in the finished basement.